Alcoa is an American MNC and headquartered in Pittsburgh, USA. It was founded in 1888 in Pittsburgh. It has a market cap of $6.2 billion. It is the leading producer in bauxite, alumina. It also produces certain compounds for customer specific needs. It has plants for aluminum smelting and refining as well as flexible energy portfolio. Several global refineries are supplied by its raw materials. It is world’s largest bauxite miner. Alcoa’s Western Australia refineries supply 8% of global alumina needs and is the third largest single alumina source. It has operations in more than 80 countries across North America, South America, Asia, Australia and Europe as of 2018. It had 14,000 employees as on Dec 31 2016. It is #173 in Forbes’ top American Public Company. Alcoa Corp is listed on New shareholders York Stock Exchange. Its vision is to become the best company in the world—in the eyes of its customers, shareholders, communities and people. 1. Diversified operations across global markets: Alcoa is a global company with more than 130 years of history. It has 43 operating locations across 10 countries and its huge size and diversified operations enable access to major markets across Atlantic and Pacific basis as well as China. Further according to the company it has been involved in research and development of 90% of all aerospace alloys currently used in the aerospace industry. Thus the company also has a strong foothold in the growing aerospace segment. 2. Strong footing in Bauxite market: Alcoa is world's largest bauxite mining Company and the world's leading producer of alumina. Bauxite is converted into alumina which is used to produce aluminium metal. Alcoa’s competitors are relatively new in this market which give it cost advantage and greater access to market. Its early entry made its operations efficient due to long term mining rights in strategic locations like Huntly (the second largest bauxite mine in the world) with large high quality metallurgical grade bauxite. The proximity of Australian bauxite mine to China has increased its market penetration there as well as Middle East. Close proximity with China has improved logistics and reduces cost, Bauxite demand will grow with time which will increase its earnings. 3. Low cost Alumina production: Alumina production units are located close to bauxite mines and alumina refineries which enable for economies of scale. Stable and efficient internal mines leverage supply chain through their vertical integration. The average cost position in 2016 was in the first quartile of global alumina production. This increases their competitiveness in the highly competitive alumina market which is used for metallurgical and non-metallurgical purposes. Technological advancements and skilled workforce have also lowered its cost. It helps in achieving competitive pricing mechanism which increases its sales and hence overall revenue. 4. Efficient supply chain management: Alcoa has a Global Supplier Sustainability Program to leverage supply chain across it global suppliers. 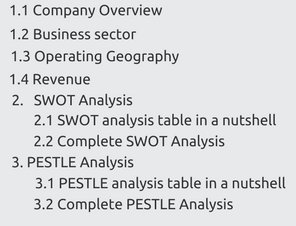 They monitor emerging and lagging categories every year to improvise and sustain operations. Quick access to markets in North America, Europe, Middle East and Australia have enabled smooth logistics and thus optimized costs. Value chains also strengthen which make it leader in large scale productions. Efficient supply chain aids in minimizing costs and improves competitiveness. It also increases the profit margins and creates possibility of further expansion. 1. Impact of Trump’s protectionist trade policies: Executive and legislative actions like fiscal policies of US administration affect Alcoa’s sales. US government has changed trade policies and regulations. Trump’s protectionist trade policies have raised US import tariffs. Operational costs may go up in case of change in international trade agreements and enforcement of restrictions. This will lead to an increase in prices of raw materials and hence final products. It will reduce competitiveness of its products and may reduce its customer base in world market. This will adversely affect their earnings if Alcoa is not able to manage its costs. The credits under “cap and trade” system & insurance premiums may also rise. 1. Adoption of strict safety measures: Alcoa operates in the most challenging industry where compliance with safety norms is essential as otherwise operations may be disrupted. They train all their employees with the requisite skills to control and prevent injuries or casualties for process stability. In 2016, there was just 1 contractor casualty. Serious efforts led to a 58% reduction in fatal and serious injury/illness (FSI) events in 2016 as compared to 2015. New indicators and methods are being devised to ensure high safety standards and predict potential fatalities, major injury and illness. Risks due to human interaction with mobile equipment have reduced due to Alcoa’s Worker on Foot initiative. Strong safety culture gives the brand loyalty of its employees and a positive brand image. 1. Residue Filtration Technology for efficient residue management: Alcoa uses this residue filtration technology in Kwinana refinery since 2016. It will save 30 hectare residue storage area for 20 years like it did in 2011. The freshwater use has decreased by more than 1 gigalitre per year. This technology squeezes out water from the mud in bauxite residue. This water is further recycled for further use. It installed plate and frame pressure filters for water purification, refractory materials, pharmaceuticals, artificial marble, paper sizing, ceramics, abrasives, petroleum processing, plastic and fire retardants in carpets. Residue area minimization and dam stability increase Alcoa’s operational efficiency and reduce costs. It will invest $80 million to install state of art aeration technology for enhancing Yadkin river’s water quality and dissolved oxygen level. 2. Advance smelting technology: Alumina refinery process control technology and Soderberg technology has reduced energy related obligations of the group. It has world class global smelting capacity for aluminum castings which produce billet, foundry, rod and slab products in North America and Europe. Individual customer demands for automobiles, buildings, construction, electrical, industrial and transportation markets are also fulfilled using advance smelting technology. The rolling technology is pioneer in aluminum sheet packaging. Unalloyed high purity products are timely delivered using the cast products. It’s breakthrough smelting technology which has reduced its operational costs and improved their standing in the global cost curves. 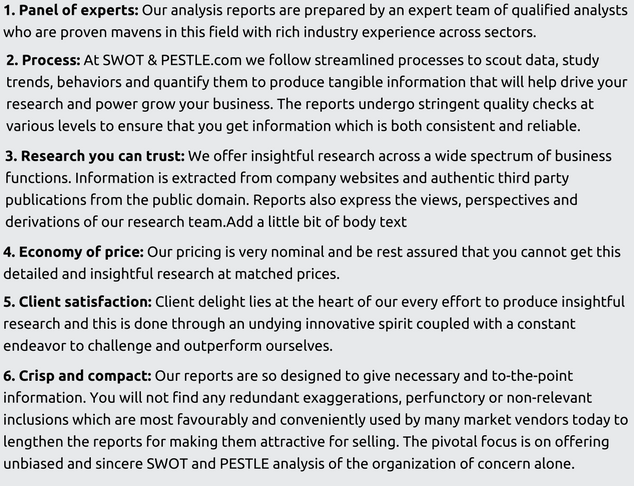 Alcoa Corporation SWOT and PESTLE analysis has been conducted by Kanupriya Sheopuri and reviewed by senior analysts from Barakaat Consulting. 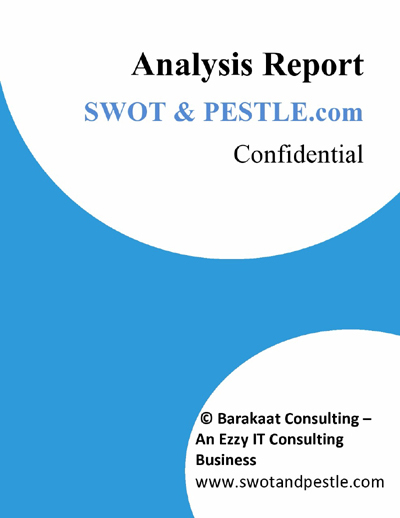 Copyright of Alcoa Corporation SWOT and PESTLE Analysis is the property of Barakaat Consulting. Please refer to the Terms and Conditions and Disclaimer for usage guidelines.